Descended from the early Puritan settlers, Nathaniel Hawthorne drew upon his knowledge of both family and local history to create the plots and settings for such highly regarded works as The Scarlet Letter (1850) and The House of the Seven Gables (1851). Hawthorne's description of old New England added an important dimension to his fiction, but it was his exploration of the psychological and moral aspects of the human condition that distinguished his work. 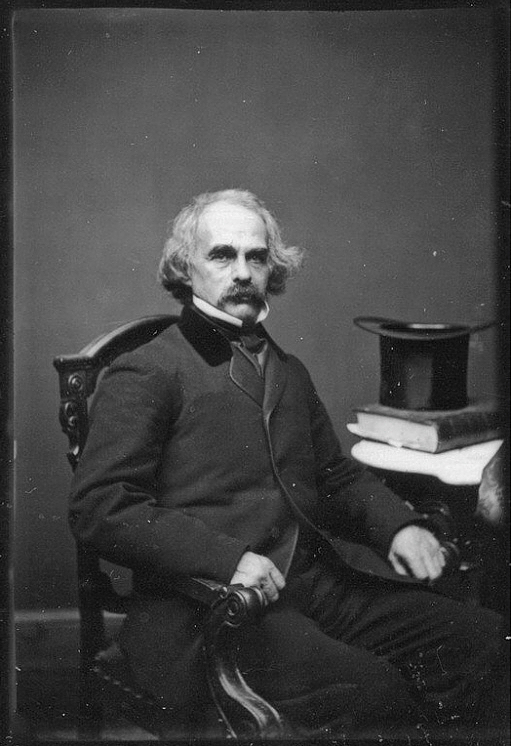 “Nathaniel Hawthorne,” Digital Public Library of America, http://dp.la/item/d62c3a0f70c9d4dcec6f3232751a3a80. Courtesy of National Portrait Gallery via Smithsonian Institution.